A subcontractor is a person who is hired by the main contractor to perform specific tasks or services for the overall project. This subcontractor is usually paid for the services that he or she provides for the project by the main contractor. Basically, the subcontractor is the party that is hired by contractors for projects for their own specific purposes. 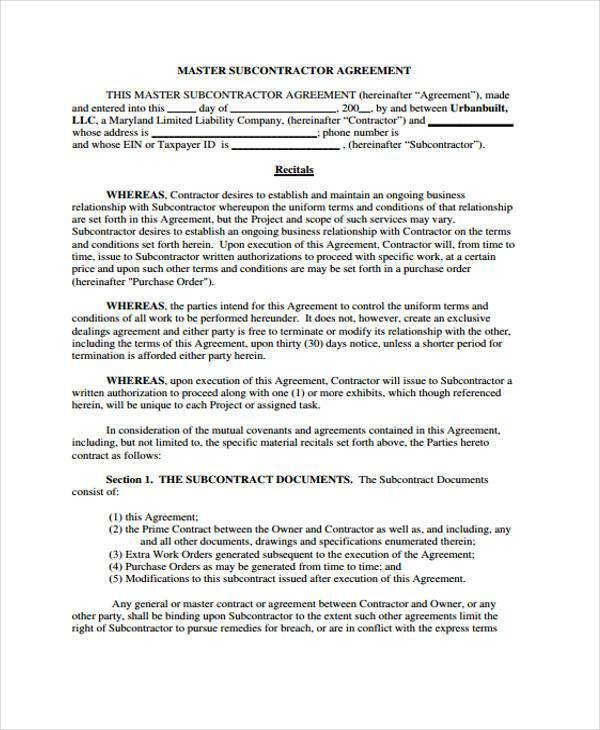 Both the main contractor and the subcontractor need to make agreements before any kind of service can be performed. Without these agreements, the subcontractor will not be providing any work, not unless they make arrangements on how it’s going to be done. 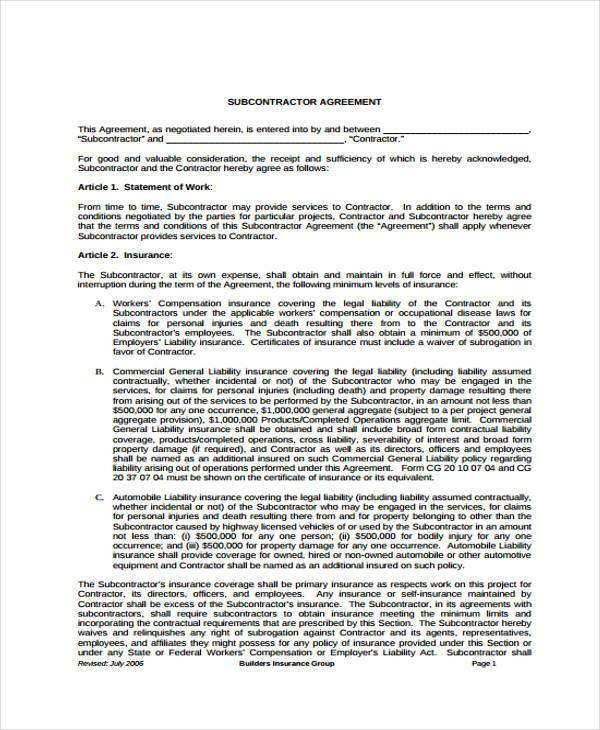 However, these agreements have to be properly documented in the right kind of forms. No doubt, there will be instances wherein either party might need these agreements to show proof of how a certain service should be done. So what can help them out with that? 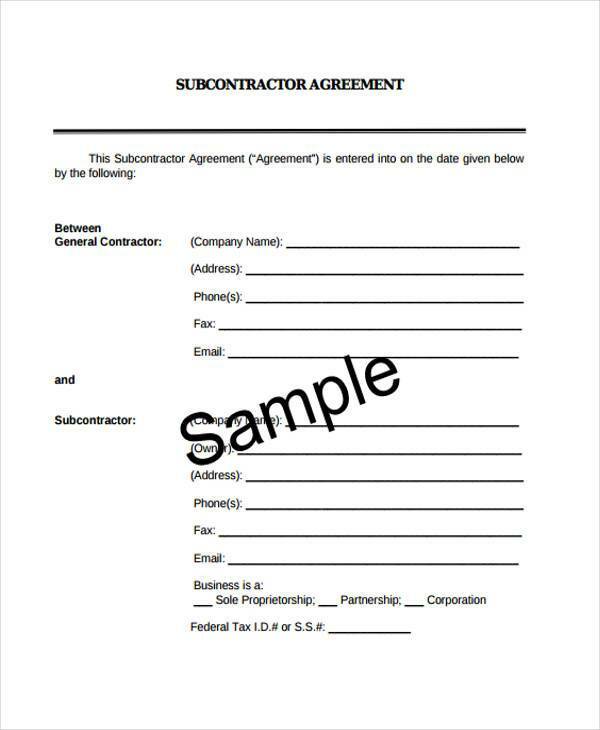 The right Subcontractor Contract Forms, downloadable here, are a good place to start. 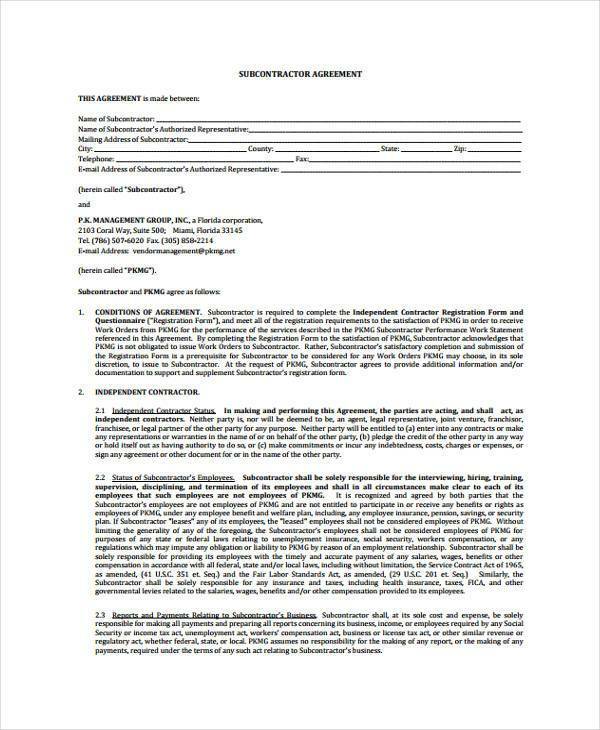 Subcontractor Construction Contract Forms are forms that are utilized by those contractors who need to hire people to help them out during any kind of construction project. Some contractors don’t have the necessary materials or manpower that they need to finish the progress of certain construction projects. This is why they ask to form contracts with certain parties that can help them out during the whole construction process. 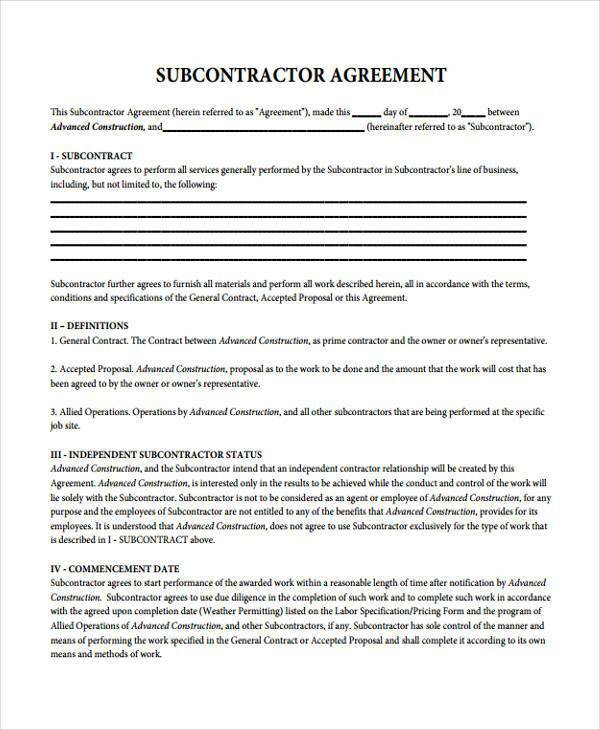 Subcontractor Communication Service Contract Forms are used by those that need help from other parties in terms of sending or receiving information. There are some businesses that need the expertise of professionals who can send and receive important information that’s relevant to the business. Hence, they set up contracts with these people so that the information will not be disclosed to anyone but those within the company. 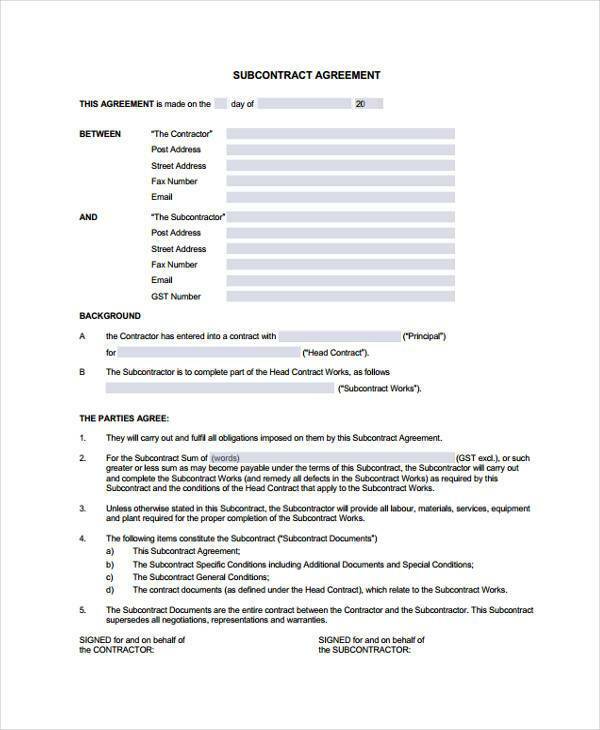 Subcontractor Contract Forms and Contractor Contract Forms go hand in hand. 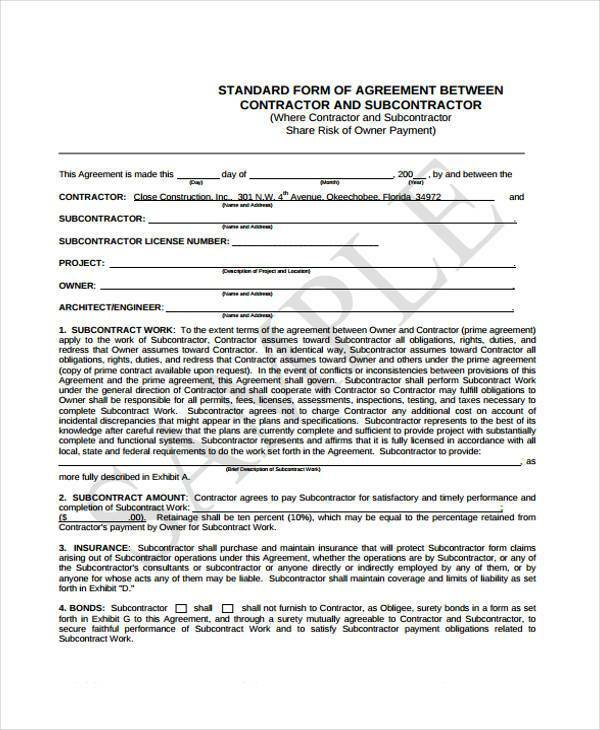 Whenever a person or a business needs to hire a company that can help them out with a certain project, then they hire a contractor with the help of Contractor Contract Forms. 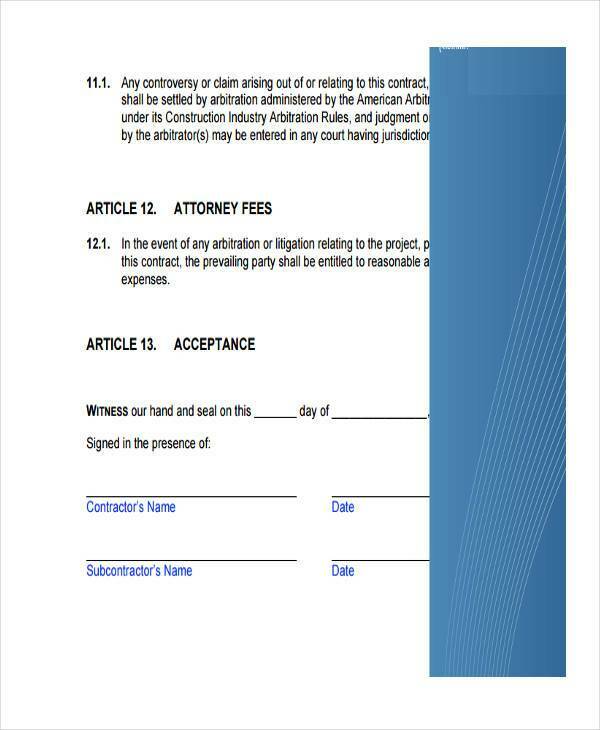 And whenever a Contractor needs specific materials or services from another person that they know can help them in completing a project, then that’s when they use Subcontractor Contract Forms. The point of these forms is to make certain that the subcontractor understands all the services that he or she should provide during the entire course of the project. What’s covered in these contracts are things like the services needed to be done, the amount of time they’ll have to put in, and even the payment that they’ll receive for compensation for all the goods and services. If the subcontractor breaks any of the agreements, then the contractor has every right to not compensate the subcontractor for everything that was already provided before the agreements were broken. Thus, in the event you need someone to help you with the project you’re in charge of, then make sure to use these forms to their fullest potential.